While she might be most well-known for her part in the Fifty Shades trilogy, Dakota Johnson has done plenty of great work to transcend her leading role in a series of successful literary adaptations. She was scoring roles before the first Fifty Shades film was released, and she’ll no doubt continue to be an actress in the wake of the trilogy for years to come. She’s a lot more versatile than one would expect, managing to juggle just as many comedic roles as dramatic ones over the course of her relatively short career—apart from a small role in the 1999 film Crazy in Alabama, Johnson has only been acting in feature films since 2010. She’s come a long way since her background role in David Fincher’s The Social Network, and her future looks as bright as ever. Of the roles she’s done so far, there are some that definitely stand out more than others. The 2018 remake of the 1977 cult classic is certainly controversial among film fanatics and casual viewers alike, but one thing is for certain: Johnson’s performance is enough to cement her status as an actress that demands to be taken seriously. Luca Guadagnino’s take on Dario Argento’s original film might stray quite far from the source material at times, but Johnson always manages to keep things moving creepily along. Purchase the original now on Amazon for $26.07. Another film from Luca Guadagnino means another stellar performance from Dakota Johnson. Beyond being a good director, Guadagnino seems to work well with her and place her in roles that suit her unique acting style — she’s very reminiscent of Kristen Stewart in that the both of them got a bad rap for starring in a heavily criticized series of literary adaptations, but Johnson has definitely managed to circumvent that stereotype a lot faster than Stewart could. Purchase now on Amazon for $15.63. Loosely based on the 1980s TV series of the same name, Phil Lord and Chris Miller’s 21 Jump Street is a massively successful and genuinely hilarious example of how to successfully rebooting something. Johnson plays a supporting role, a fellow undercover cop named Fugazy, who can’t help but make fun of the many failures of Jonah Hill and Channing Tatum’s characters. Her lines, while limited, are often laugh-out-loud funny. The movie might seem something like a boy’s club, but Black Mass is just as much as Dakota Johnson’s movie as anyone else in the cast’s. Critics mainly praised Johnny Depp’s performance in the film as the real-life criminal Whitey Bulger, but that’s probably because he’d come off of a string of bad movies — Johnson pulls her weight as Lindsey Cyr, and she deserves a lot of credit for her part in this film. One of the more recent entries on the list, Bad Times at the El Royale is great fun and earns more praise simply for being an original idea from an original filmmaker, Drew Goddard. The movie has a stacked cast, complete with Jeff Bridges and Jon Hamm and Chris Hemsworth, but Johnson is the leading lady with enough charisma to play in the big leagues with the rest of her male costars. Not yet available for purchase on Amazon. Following Forgetting Sarah Marshall was probably no easy task — still, writer Jason Segel and director Nicholas Stoller’s second collaboration is no worse than their first. 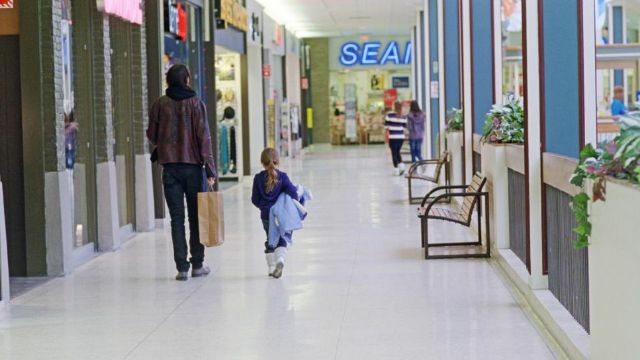 The movie follows a couple through a long and tumultuous engagement, spanning nearly half a decade and plenty of unexpected happenstances that keep prolonging the time before their wedding. Johnson comes into play late in the game, but she manages to leave a positive mark on most of the third act. Johnson plays a minor role in this film that largely belongs to actor Paul Dano, but that doesn’t mean it should be omitted here. It’s a solid independent film with other good performances from Jon Heder and Jena Malone, but once Johnson shows up, you can bet she steals the show. Purchase now on Amazon for $11.87. What starts out as a stereotypical high school comedy quickly evolves into something far more progressive — Date and Switch sees two best friends hoping to have a memorable prom night when one of them decides to come out. 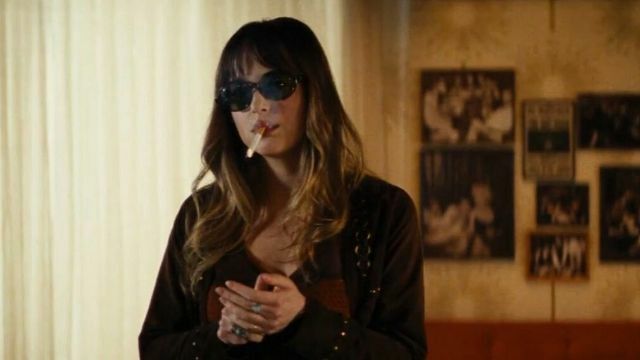 Dakota Johnson’s solid as the female lead here, and it’s one of the first films in which she was able to show off her ability to balance drama and comedy. From the writers of Never Been Kissed, How to Be Single follows a group of young New Yorkers as they navigate dating in the age of technology. Johnson leads a stacked cast of up-and-comers, complete with Alison Brie, Rebel Wilson, Anders Holm, and Jason Mantzoukas. The role is endearing and certainly charming, which makes you wish she’d land more roles like this one. 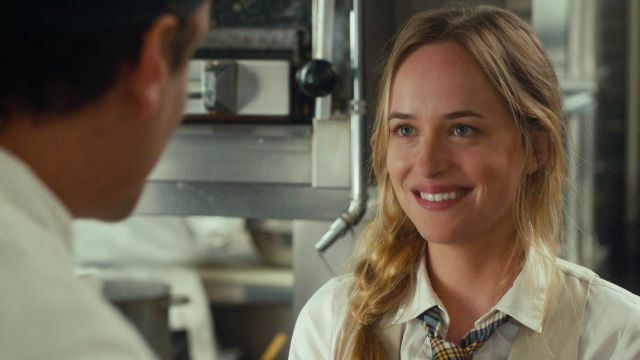 She might not be in the lead here, but Dakota Johnson plays another scene-stealer in this lighthearted independent comedy starring David Duchovny and Vera Farmiga. Her character, Minnie, doesn’t get much screen time — that doesn’t mean it’s not worth checking out, though. She’s still as funny as ever, managing to stand out among other comedians in the cast like Anthony Anderson and Ty Burrell. Purchase now on Amazon for $15.49.